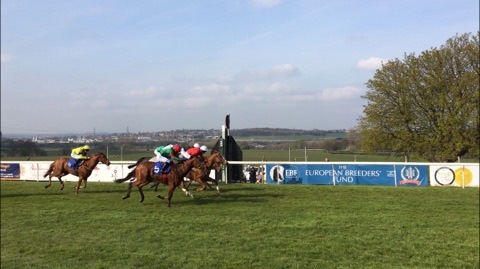 1st and 3rd… not a bad start to the week… Monday 15th April saw Melrose Way and Sophia Maria head to Pontefract Racecourse for the Fillies’ Novice Stakes. Melrose Way on her debut under Graham Lee took the WIN for her owner Mr D Armstrong! This filly has been strong since the day she arrived at Thorngill and with work rider Laura riding her every day she has grown stronger and stronger. Looking forward to a prosperous season with this Mayson filly. Sophia Maria was also out for her first run of 2019 after her winter holidays and took home a very close 3rd. This Swift Spirit filly’s fighting spirit should see more strong runs this season. Our next lot of runners head to Ripon on Thursday. This includes Fume and Tie A Yellowribbon at 2:50pm and Hesslewood at 4:35pm.